Adding 1 to your cart is an order for 100 Custom Keychains. 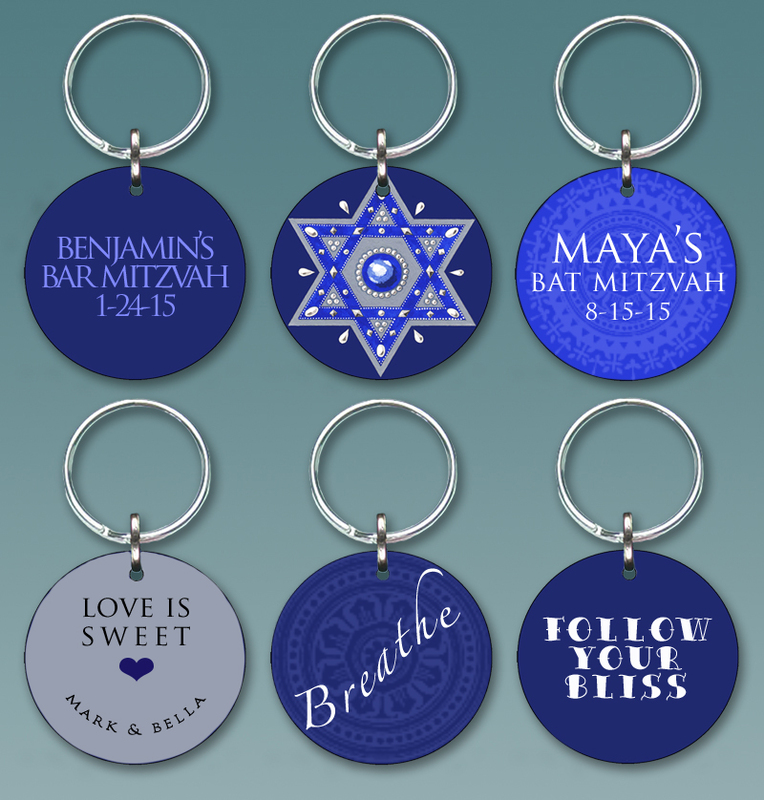 These custom keychains make awesome party favors for weddings, Bar & Bat Mitzvahs, class graduations, family reunions, whatever! You can look through all the keychain designs in the photos. Choose one that you like. You can either have it exactly as it is, or customize the reverse side. Party favor custom keychain designs are sold at a minimum of 100 pieces If you would like to order PERSONALIZED, CUSTOM keychains as party favors, please contact us by phone (800-538-8268) or email to discuss your options. 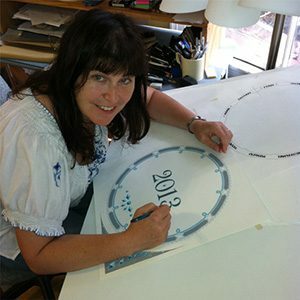 Custom orders usually take about two to three weeks to fulfill. Place your order online and we will contact you directly regarding design and text options. In the meantime, you can decide what you would like on the back of the keychain. You can add a name, initials, a date, a short message, a short quote, the Travelers Prayer, the same design as is on the front, choose a different background color… whatever you like that will fit! You will receive a digital proof of your design by email for you to approve prior to production. Don’t see the exact thing you had in mind for your party? Email me, I love making new designs! We will ship your custom keychain order in 2-3 weeks after receiving all the information and payment. Rush orders are available at an additional cost. Sorry, since these custom key chains are being specifically designed for you, they cannot be returned for a refund.